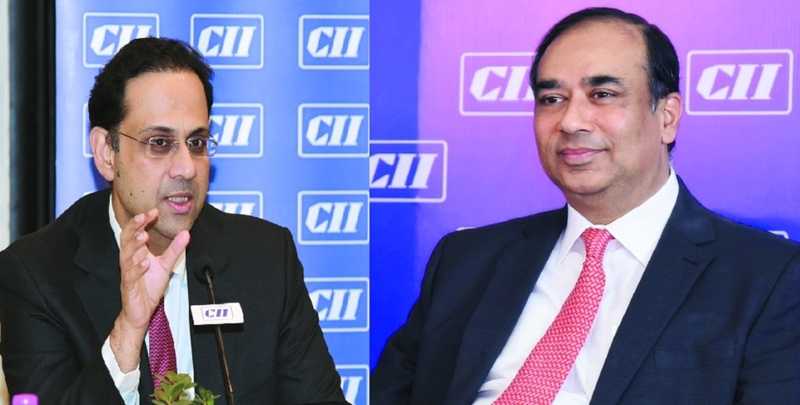 Sanjiv Bajaj, Managing Director and Chief Executive Officer of Bajaj Finserv Ltd. has been elected as the Chairman of the Confederation of Indian Industry (CII), Western Region for the year 2019-20 and Sunil Mathur, Managing Director & Chief Executive Officer, Siemens Ltd. has been elected as the Deputy Chairman of the CII Western Region. Their names were announced at the first meeting of the reconstituted Western Regional Council. Bajaj Finserv operates in the insurance business through Bajaj Allianz Life Insurance Company Limited and Bajaj Allianz General Insurance Company Limited, as well as in the lending business through Bajaj Finance Limited. His role includes guiding the current businesses and building new ones in the financial services space. He is also the Vice Chairman of Bajaj Finance Ltd. since 15 October 2013. Chairman of Bajaj Allianz Life Insurance Company and Bajaj Allianz General Insurance Company with effect from 1 April 2013. He was the Non-Executive Director of these two companies from their inception in 2001 up to 31 March 2013. Managing Director of Bajaj Holdings & Investment Limited with effect from 1 April 2012 (earlier its Non-executive Director). The role includes building the strategy and team, and guiding this investment company, which has almost Rs 60,000 crore in cash and investments including over 30 per cent stake in Bajaj Auto and around 40% in Bajaj Finserv. He has bagged Ernst & Young - EY Entrepreneur of the Year Award 2017. Bombay Management Association (BMA) - Entrepreneur of the Year Award 2015-16. Business World - India’s Most Valuable CEOs in 2015 & 2016. Ernst & Young - EY Entrepreneur of the Year Award in Financial Services 2014. Economic Times Corporate Dossier - India Inc’s top hundred most powerful CEOs in India in 2009. Business Today magazine - One of the top CFOs of India for 2005 Sanjiv Bajaj is B.E. (Mech), first class with distinction (8th on merit list) from the University of Pune, M.Sc (Manufacturing Systems Engg) with distinction from the University of Warwick, UK and MBA from Harvard Business School, USA. He is also the Chairman, CII National Committee on Insurance and Pensions (2018-19). Mathur bagged Bachelor of Science degree from Punjab University and is a Chartered Accountant. He has been with Siemens for over 26 years, holding several senior management positions in Germany and the UK in the energy and industry sectors, informs a press release.